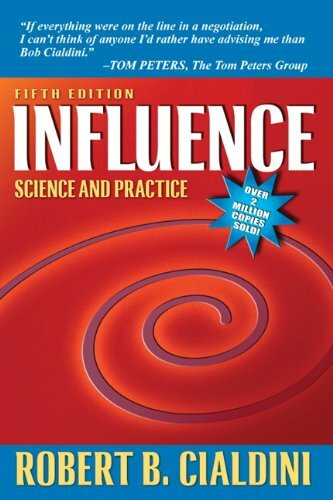 Robert B. Cialdini identifies six basic principles that influence behaviors in his popular book, Influence: Science and Practice. These principles contain hundreds of behaviors that are triggered responses in all of us. Leveraging these six principles we can influence others to carry out certain behaviors with little thought. Reciprocation: Our urge to keep things equal and return the favors given to us. Consistency: Sticking with our stated beliefs. Social Proof: When information is lacking, we go with the crowd. Liking: We get along with and follow those we like. Authority: We recognize those who are experts and take their word. Scarcity: When availability is scarce, our freedom is threatened, so we act quickly.